For skiers who would like to use the facility before or after hours of rentals – the side gate is unlocked and skiers can enter through the gate during off hours. Please close the gate behind you upon entering and exiting and please follow rules posted on large board in front of the building. Skiers and snowshoers please check in with Riverwood staff before heading out on the trails. Dogs are allowed on leashes only. Snowshoeing is allowed alongside current trails. At this time there is no skate ski trails due to the current conditions. Snow shoeing is allowed on any non-paved trail. 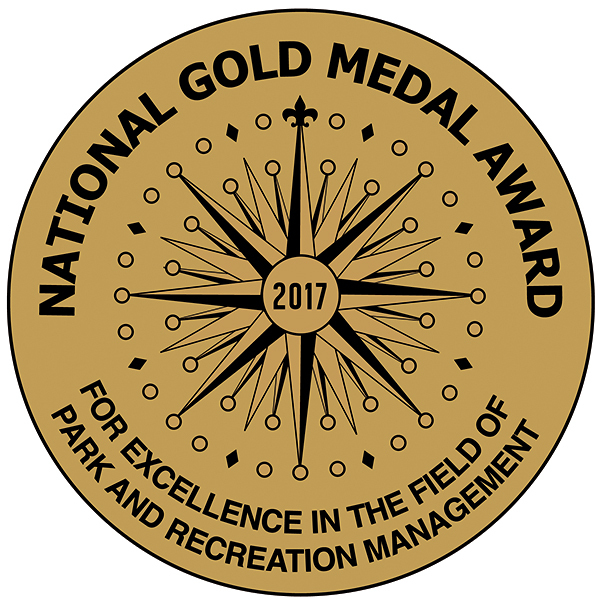 Examples are River Bluffs bike trail, the Sleepy Hollow bike trail, Bill Mills Nature Trail, East Sibley Nature trail and the McDowell Dam loop. 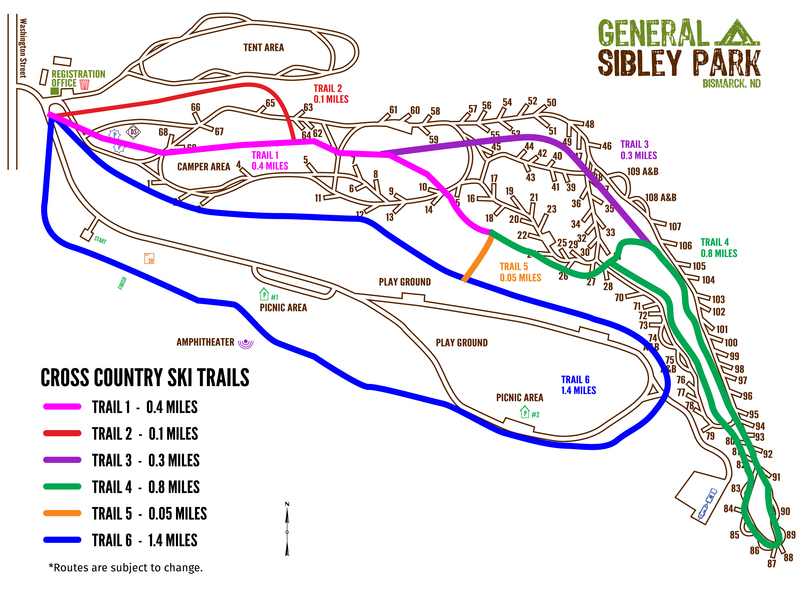 Visit our Trail Map Webpage for locations. You can snow shoe along the sides of paved trails, if you wish, and also in open park space. General Sibley Park is located on South Washington Street four miles south of the Bismarck Expressway. 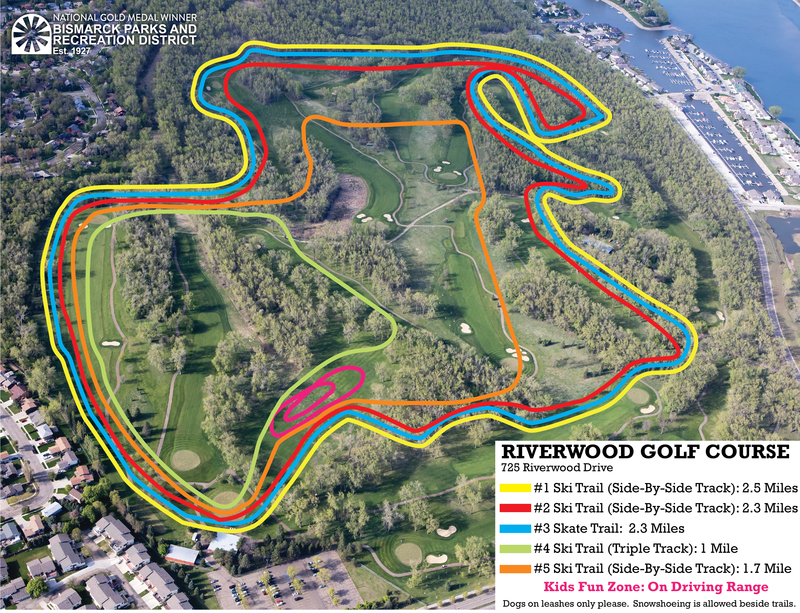 People can bring their own skis, or rent skis at Riverwood Golf Course, 725 Riverwood Drive, Bismarck, and bring them to General Sibley Park, and return them to Riverwood when finished. Call General Sibley at 222-1844.